Budget 2018: What’s in it for startups? Union Finance Minister Arun Jaitley made a series of proposals in his Budget for 2018-19 that generated considerable interest within the startup community. However, early-stage tech entrepreneurs and investors are awaiting specifics before assessing the real impact of these overtures while expressing dismay over contentious issues like angel tax remaining unresolved. The creation of a new regulatory regime for venture capital funds and angel investors, a national programme for artificial intelligence, five lakh Wi-Fi hotspots in rural areas, and hybrid instruments to attract venture capital investment all found mentions in Jaitley’s speech. “Venture capital funds and angel investors need an innovative and special developmental and regulatory regime for their growth,” Jaitley said. While highlighting the government’s initiatives such as the Start-Up India programme and a venture capital industry-focused taxation regime, Jaitley said the government would take additional measures to strengthen the environment for their growth and “successful operation” of alternative investment funds (AIF) in India. Jaitley also said the government’s policy think-tank NITI Aayog would start a national programme to direct efforts in artificial intelligence, including research and development of its applications. The finance minister also spoke of a working group in his ministry examining the policy and institutional development measures needed for creating the right environment for fintech companies to grow in India. In addition, he also said that the government would evolve a separate policy for hybrid instruments – convertible bonds, preferred stocks, equity swaps and structured notes – to attract foreign investment in startups and venture capital funds. The startup community has welcomed some of these announcements, but is also seeking clarity. “Some [proposals] are forward-looking and specifics are missing,” said Sampad Swain, founder of B2B payment and commerce startup Instamojo. Dr. Srikanth Sundararajan, partner at venture capital firm Ventureast, struck a similar tone. Sundararajan added that Goods and Services Tax (GST) rates for startups need to be reduced and they should also be allowed to file returns on an annual basis. “There was no mention of this. There was no mention of not implementing angel taxes, no mention of giving the angel investors vehicles towards reduced taxes or no taxes if they could roll over gains to other startups,” said Sundararajan. Angel tax has long been a contentious issue in the startup community. Several startups have been hit with tax notices over funds raised from friends, family, angel investors or angel networks not registered with the markets regulator or as AIFs and if the infusion is higher than the company’s fair market value. 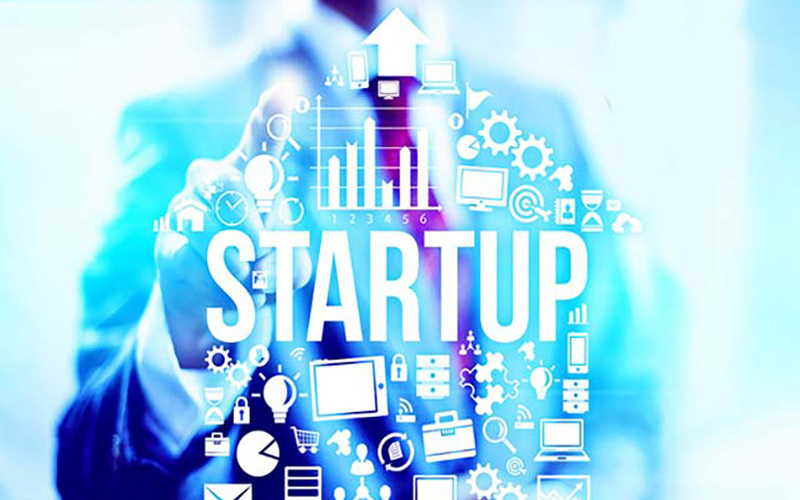 One piece of concrete good news for startups was that the government raised the ceiling for the 25% corporate tax bracket to Rs 250 crore annual turnover, up from Rs 50 crore earlier. The vast majority of startups will be covered under this tax rebate. Jaitley said if the 5% tax rebate for companies with turnover up to Rs 50 crore had benefitted 96% of tax-paying enterprises, the extension of this benefit to companies with turnover up to Rs 250 crore would benefit 99% of them. But Instamojo’s Swain was not entirely impressed. “For MSME sector, it [corporate tax rate] is 20% in China and 21% in the US,” he said. Ventureast’s Sundararajan also said more clarity is needed on the government’s programme for artificial intelligence (AI) and machine learning (ML). “Details unfortunately were also missing whether there would there be special government funds focusing on AI/ML which VC funds could leverage or there would be a focus around skills development for the next generation to take advantage of,” he said. Meanwhile, a cross-section of digital businesses believe the announcement of 500,000 Wi-Fi hotspots in rural areas would help expand digital connectivity, facilitating the growth of a host of internet-enabled services including e-commerce, online education, healthtech and others. “The government’s move will definitely help the industry in tapping unmapped areas of the country and would allow consumers to access the digital landscape and benefit from its offerings,” said Gautam Sinha, chief executive officer of Times Internet. iSpirt, too, welcomed the government’s digital initiatives. “Laying the policy foundation alongside an India Stack-inspired technology spine will ensure the rise of the Bharat focused tech-entrepreneur,” the industry body said. India Stack refers to iSpirt’s project of creating a unified software platform to bring India’s population into the digital age.